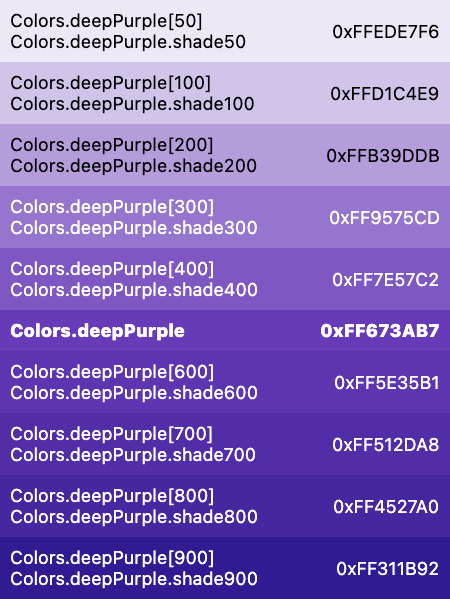 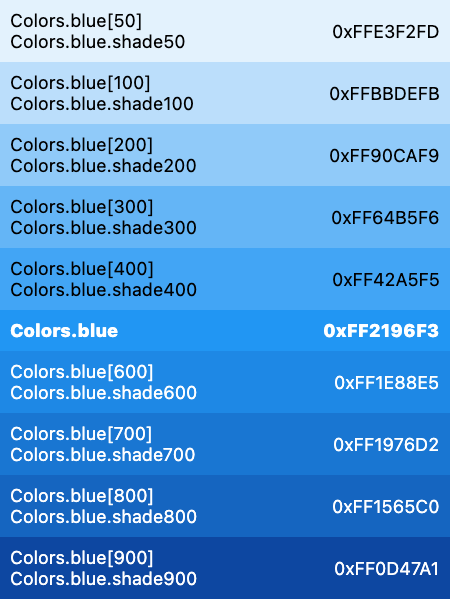 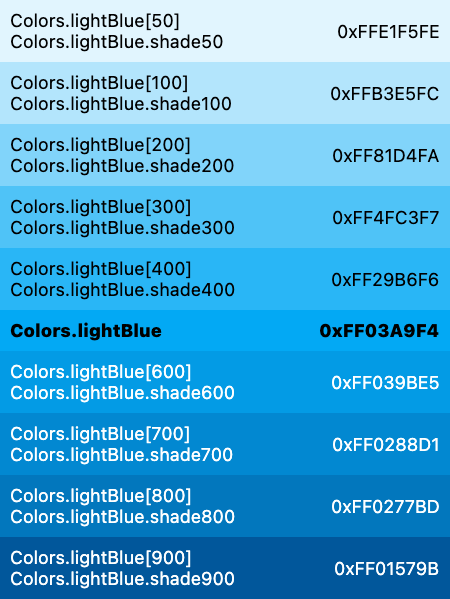 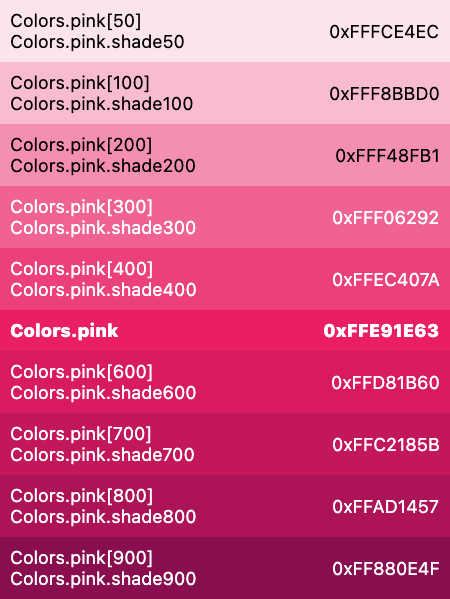 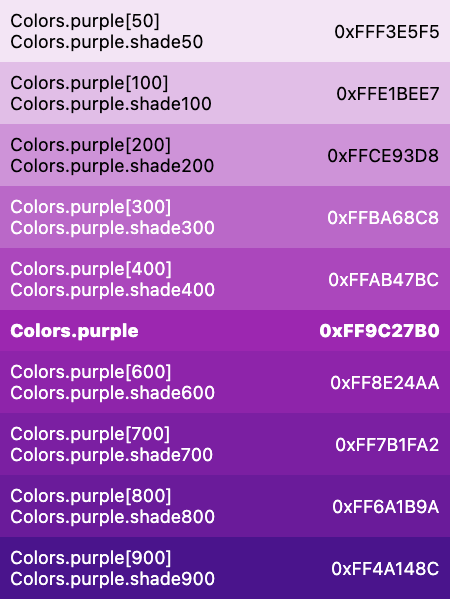 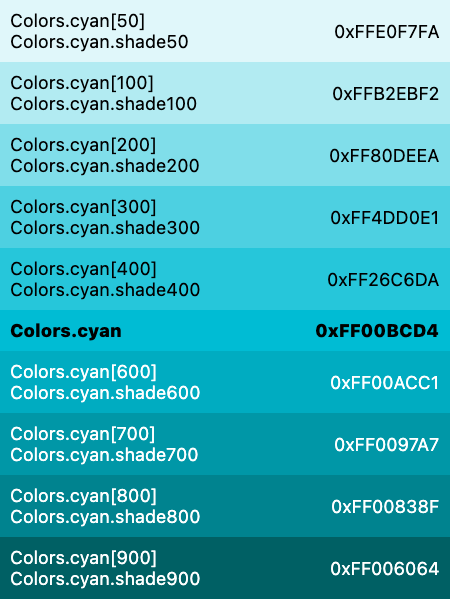 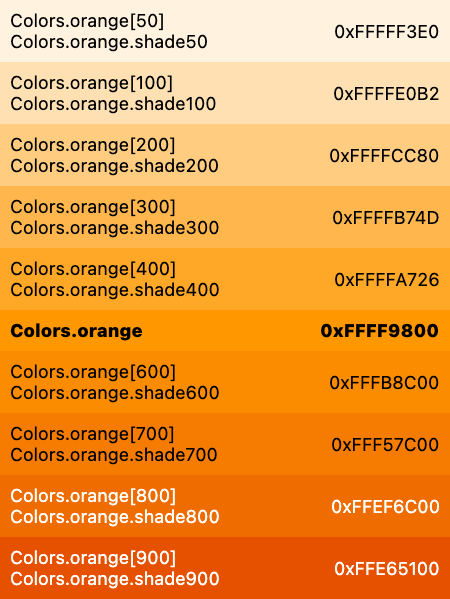 Color and ColorSwatch constants which represent Material design's color palette. 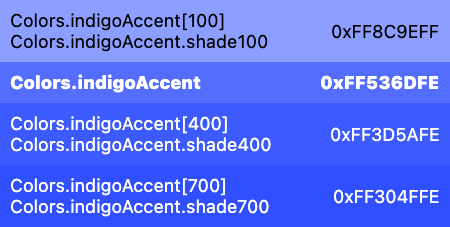 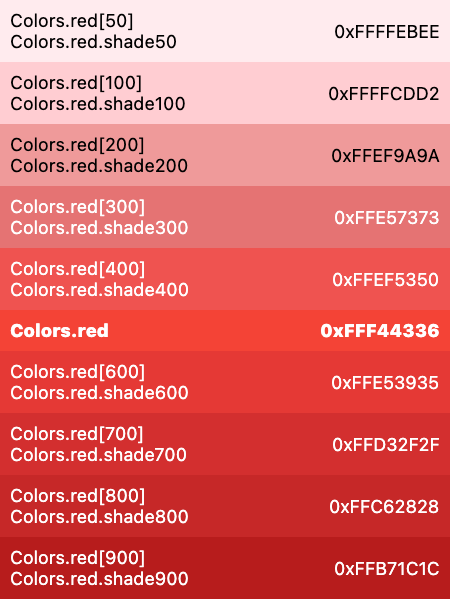 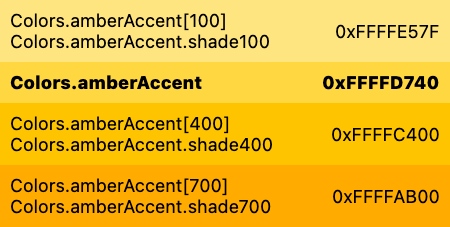 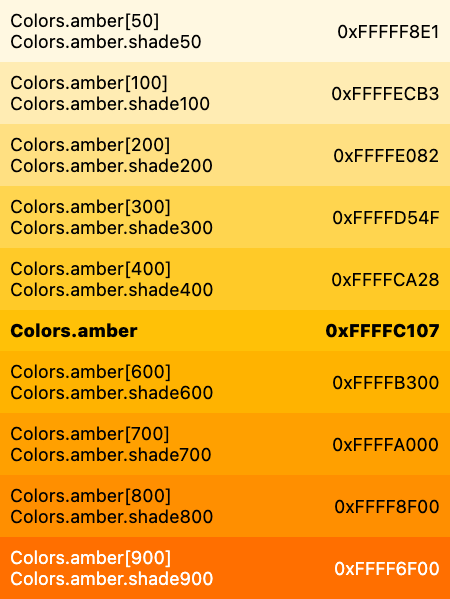 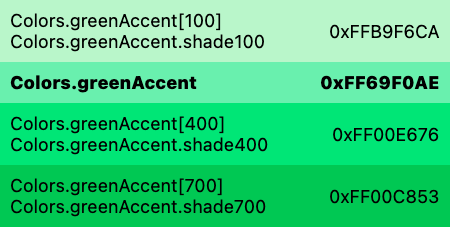 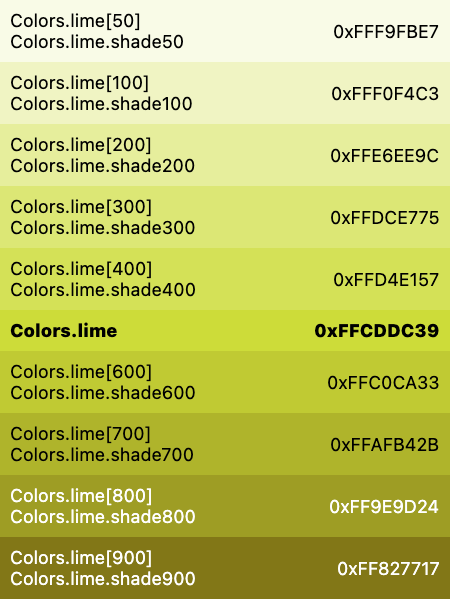 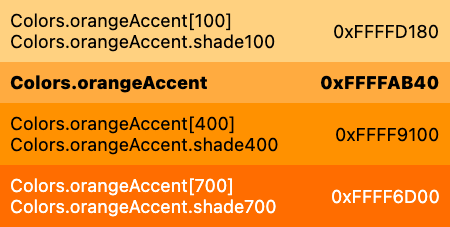 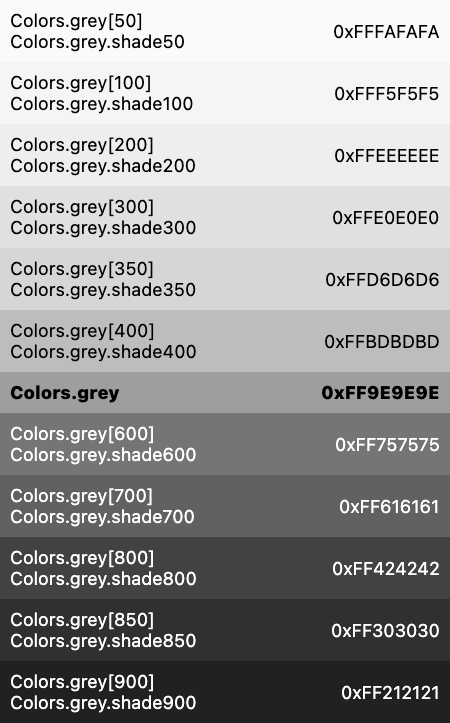 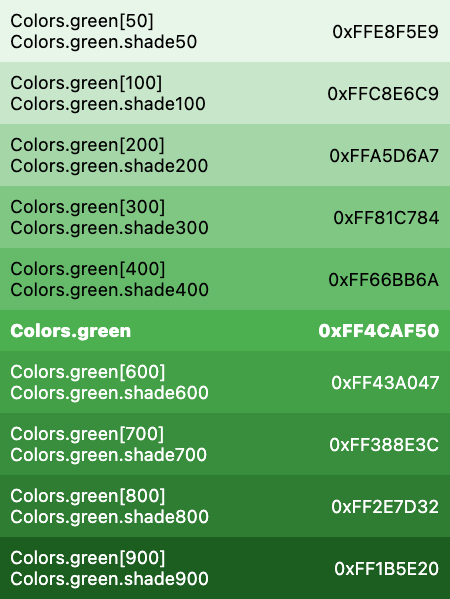 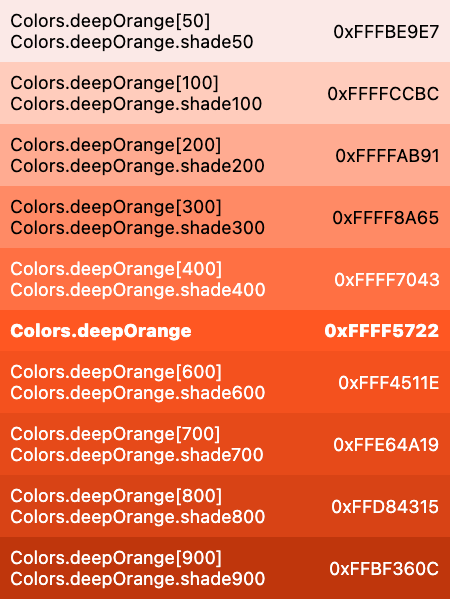 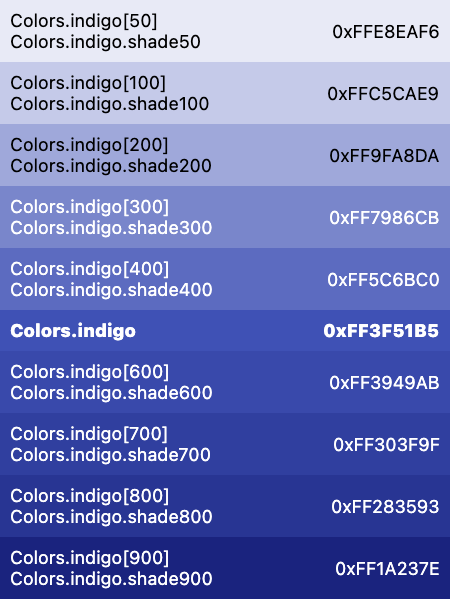 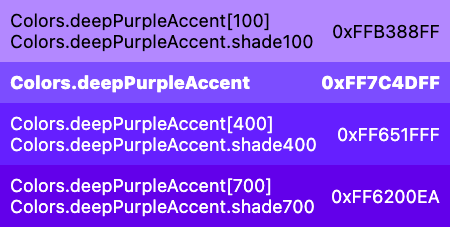 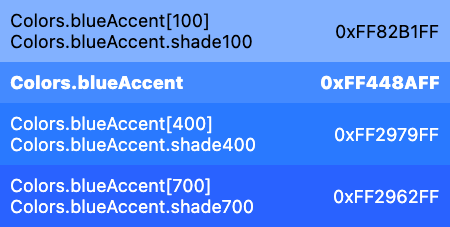 Instead of using an absolute color from these palettes, consider using Theme.of to obtain the local ThemeData structure, which exposes the colors selected for the current theme, such as ThemeData.primaryColor and ThemeData.accentColor (among many others). 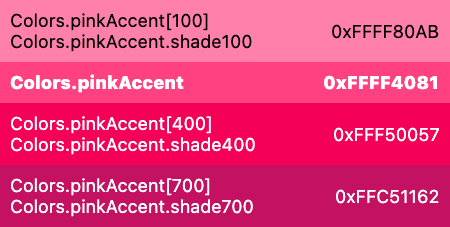 Most swatches have colors from 100 to 900 in increments of one hundred, plus the color 50. 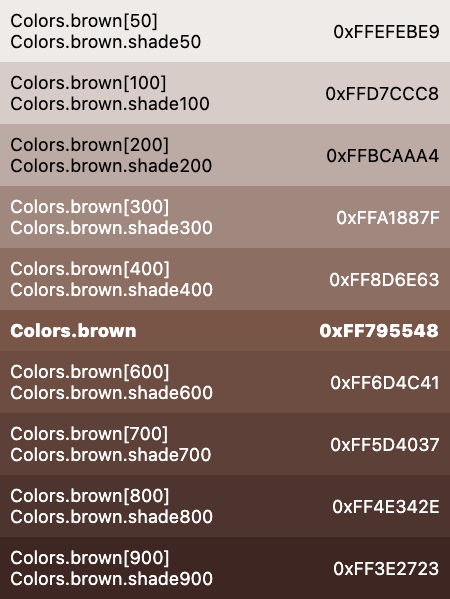 The smaller the number, the more pale the color. 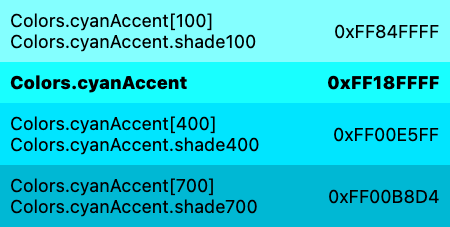 The greater the number, the darker the color. 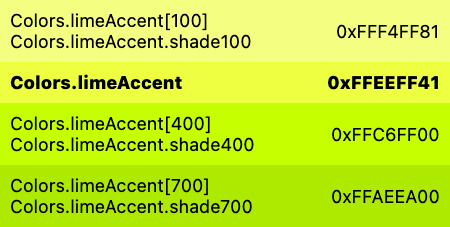 The accent swatches (e.g. 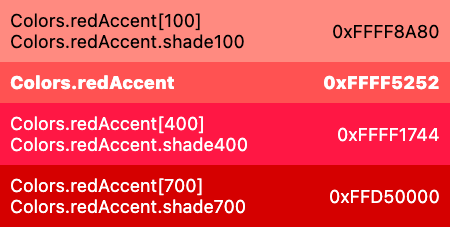 redAccent) only have the values 100, 200, 400, and 700. In addition, a series of blacks and whites with common opacities are available. 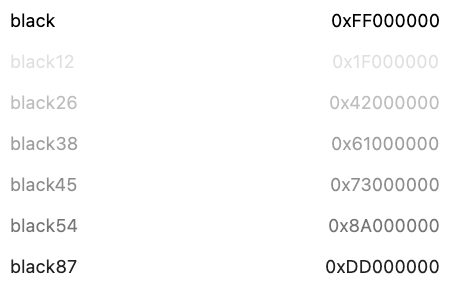 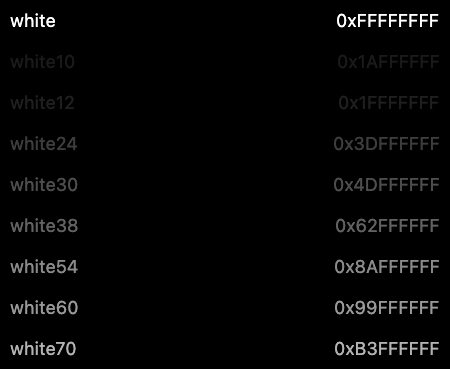 For example, black54 is a pure black with 54% opacity. 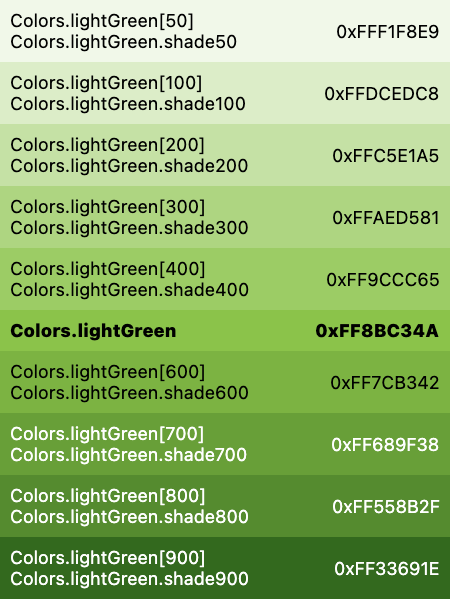 Color selection = Colors.green; // Selects a mid-range green. 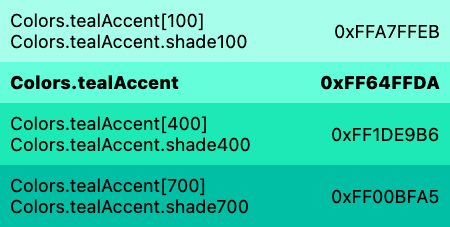 These colors are identified by their transparency. 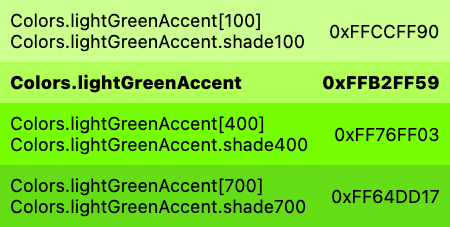 The low transparency levels (e.g. 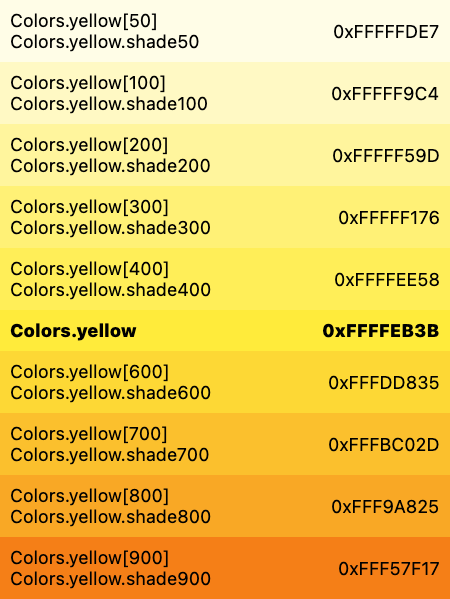 Colors.white12 and Colors.white10) are very hard to see and should be avoided in general. 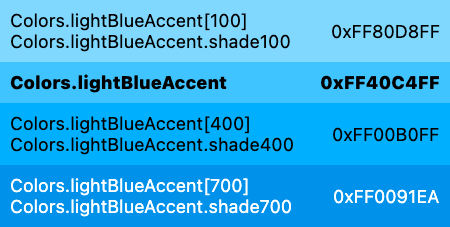 They are intended for very subtle effects. 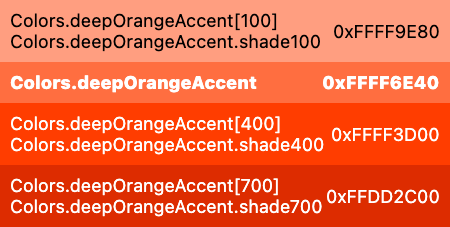 The Colors.transparent color isn't shown here because it is entirely invisible! 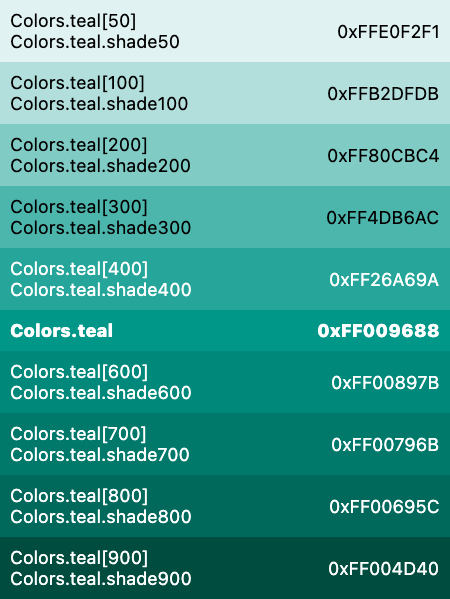 The material design accent color swatches. 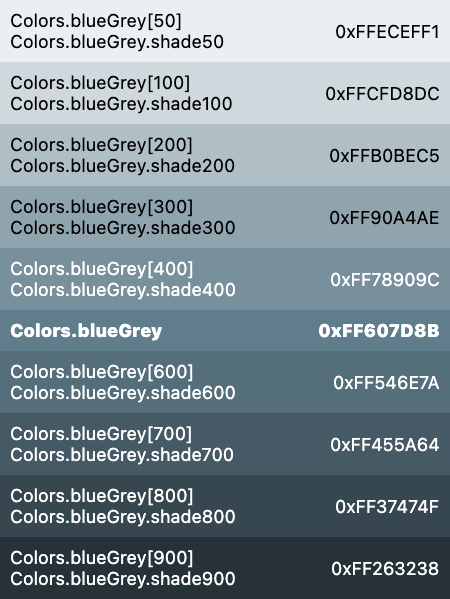 The material design primary color swatches, excluding grey.